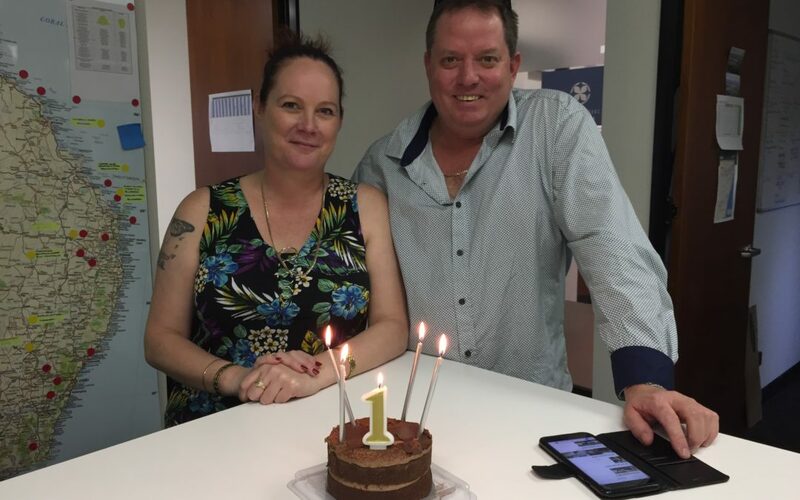 This June we have celebrated Geoff and Sharlene’s 12-month anniversary as the Property Managers at Sugar Country Motor Inn. Both Geoff and Sharlene are dedicated to providing friendly and quality service for all guests and aim to make Sugar Country a welcoming home-away-from-home whether you are a local, travelling family or busy corporate. Proud locals themselves, Geoff and Sharlene have been living in Bundaberg since the early 2000s and have recently adopted Harry Houdini, a Pineapple Conure (small South American parrot). They love their Queensland town for its temperate climate, vibrant food culture and exceptional attractions – from the beaches and art galleries, to the Bundaberg Rum Factory and the Mon Repos Turtles there’s always something new they want to experience! Canecutters Kitchen – our contemporary restaurant – has been a significant addition to Sugar Country Motor Inn. Geoff and Sharlene love the fresh and fun restaurant interior and innovative menu. Being able to provide both comfortable accommodation and exciting dining and function solutions for the Bundaberg region is what ultimately enticed them to join Southern Cross Motel Group. Next time you’re in Bundaberg, or just happen to be in our area of town, make sure to drop in for a coffee, a meal or a cold beer and say hello!